Mick Namarari Tjapalatjarri was one of the pioneer group of painters at Papunya in the early 1970s. 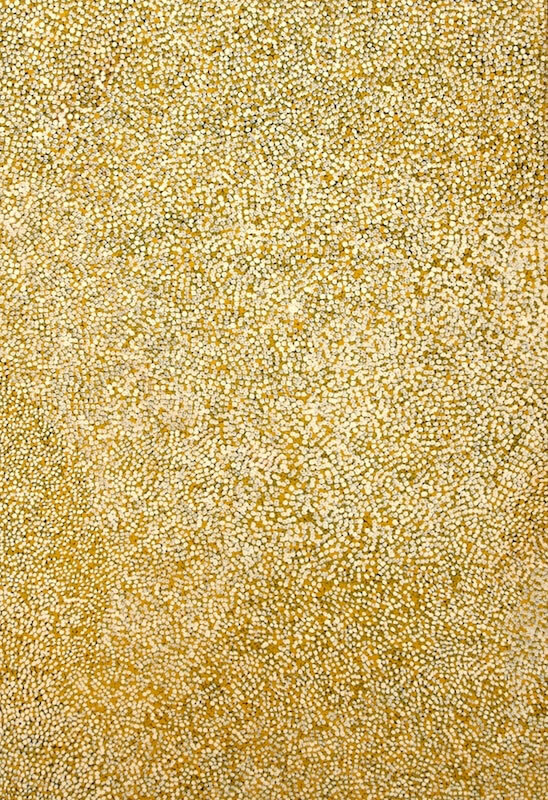 Mick was "amongst the earliest of the painters to experiment with fields of dotting and later linework devoid of the design motifs which were the defining element of Western Desert Art for its first two decades. He was also among the first to employ bold undotted lines in his work, marking out a direction that would come to dominate many Papunya Tula artists' styles from the late 1990s" (V Johnson, 2008). Mick's career consisted of many group and solo exhibitions, and he has received multiple awards, including the Red Ochre Award in 1994, the Alice Prize in 1994 and the National Aboriginal Art Award in 1991. His work can be found in numerous important collections including the National Gallery of Australia, the National Gallery of Victoria, the Queensland Art Gallery and the Wollongong City Art Gallery.